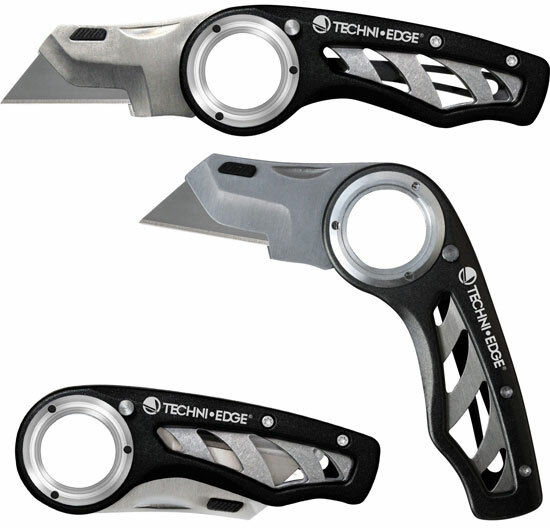 The TechniEdge Revo is a folding utility knife with a finger-loop handle design and greater blade cutting edge exposure than with other utility knives. I went to a roofing supply in Freeport, NY. I found the best folding razor knife I have ever used. It has a finger hole, 2 positions. I am cutting sheetrock and able to cut way deep. The blade holder has a deeper setting than others so you get more blade, cut rope plastic easy. Here it is. I like the design. 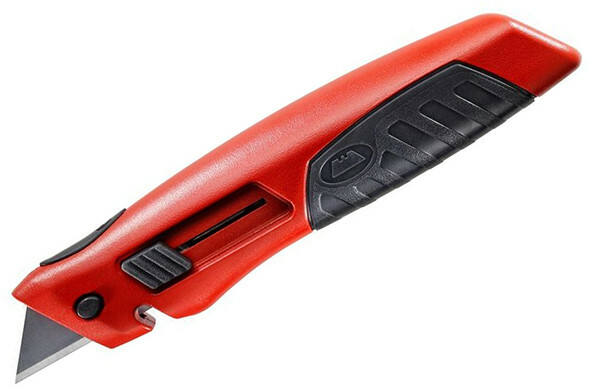 In addition, this is perfect fidget tool for your pocket. The finger hole allows you to spin the knife around your finger without cutting yourself while you are standing around talking to the guys. Looks good. 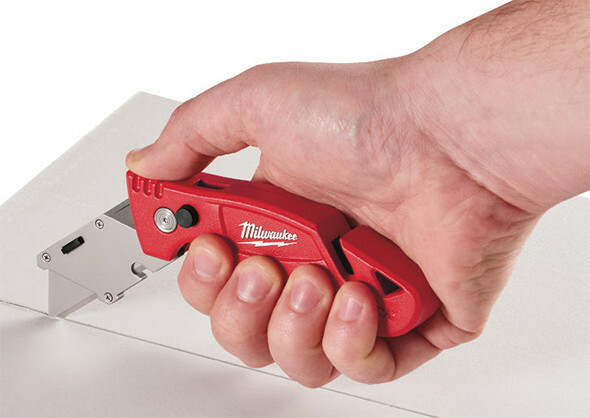 I always seem to hit the release button on some of the other utility knives I have and the blade slides out when I apply a good deal of pressure. This knife WAS great but the blade release/retainer is made of some kind of plastic and after a year it wears and doesn’t keep the blade locked in. I bought 2 and they both did it.